Lisa Storms is always up to something amazing and I have to show you her fabulous, simple costume ideas over at Fiskars! Looking for a shark costume? Would be fun for the “Shark song” theme with the baby, mommy, daddy, grandma, grandpa sharks, too! Grab a gray hoodie and a few supplies and you’re ready! 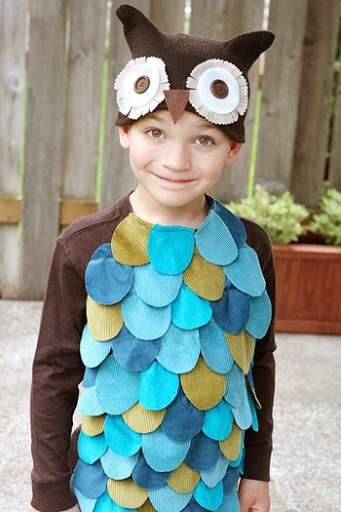 Layer up some feathers for a DIY owl costume and a coordinating hat! 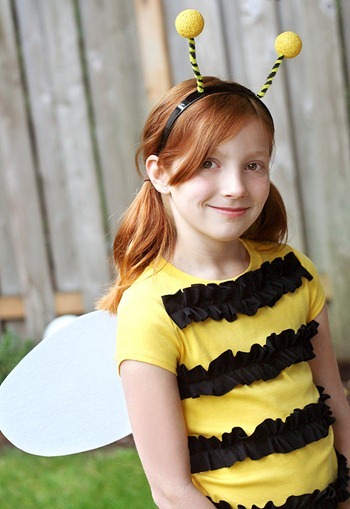 Find a yellow tee or sweatshirt and make this fun bumblebee costume with ruffled stripes! 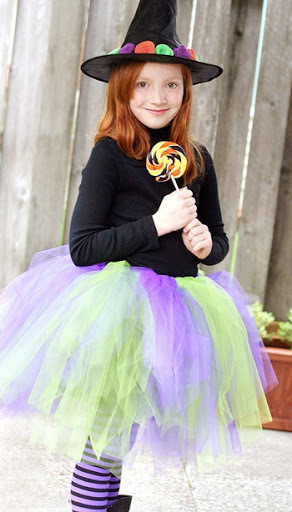 Create a tutu layered with a warm turtleneck and fun tights for a fun witch costume! Want to create a skeleton costume that’s not super creepy? 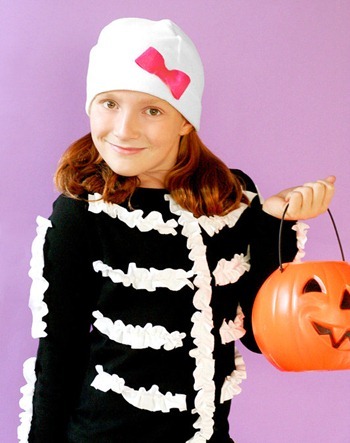 Create ruffled bones on a black sweatshirt for this fun costume! 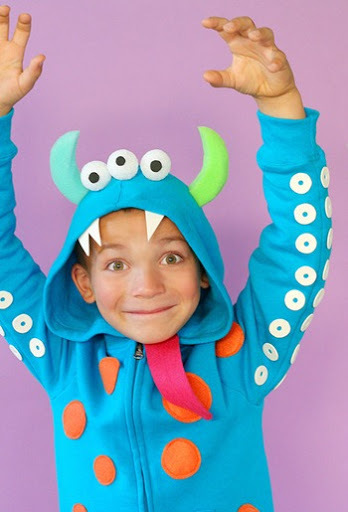 How fun is this DIY Monster costume using a simple hoodie? You could even change it up and create a different variety of monsters! The shark is my favorite!! And they look so good, yet so easy to accomplish. All the costumes looks great and adorable. 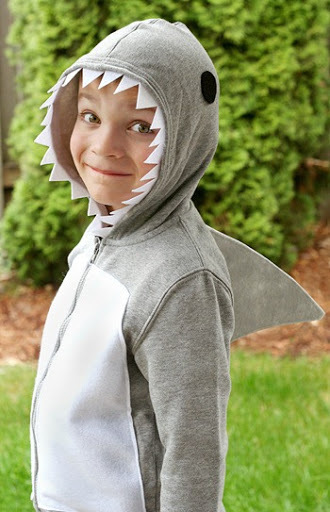 I’m thinking of a costume for my younger brother, I’ll try the shark one. These are awesome! I am making my daughter an owl and stealing your hat idea~! I love it! Thanks for sharing!! Love all of these~! I am making my daughter an owl and am stealing this hat idea! She doesnt want a mask and this is perfect! thanks for sharing…might even make my son the monster one!